Experience the beauty of the Yucatan on this half-day private tour of Los 7 Cenotes. 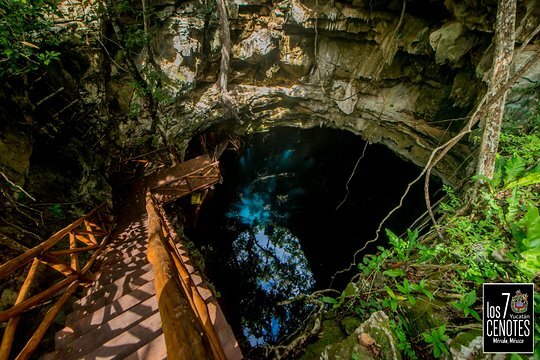 Unlike public cenotes that swarm with tourists, this tour ensures you swim and explore in quiet, secluded areas. 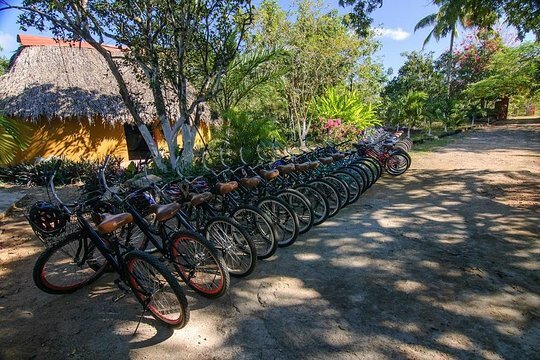 Bike with guides to locations inaccessible to most visitors, and enjoy a 3-course lunch of traditional Mexican food. 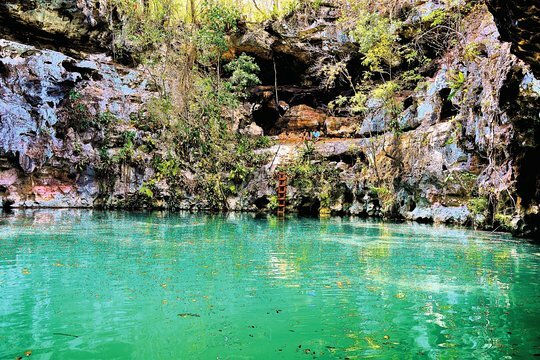 Make your way to Los 7 Cenotes, about 90 minutes from the heart of historic Merida (transportation excluded). On arrival, enjoy a fresh cup of coffee and purified water. 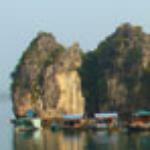 After the group is outfitted with snorkel gear, take a scenic 5-minute bike ride to the first location. Unlike most cenotes near Merida, Los 7 are located on private land and are, therefore, inaccessible to most visitors. Enjoy the calm, quiet waters of each cenote, as the guide explains how and why they were formed. After a morning of swimming and cave exploration, sit down for a buffet lunch of traditional Mexican food. Finish the tour with a visit to a Ceiba tree, famous for its place in Mayan cosmology. Before heading back to Merida, enjoy another cup of coffee with the guides. 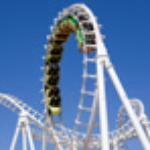 This is a wonderful day that you will never ever forget!! The locations, cenotes, the bike ride, the food and the team are phenomenal!! This is a 10/10 experience. If you are in Merida you must must do this!! Awesome. Highlight of our Holiday! Outstanding! 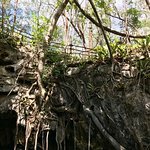 Siete (7) Cenotes - A Wonderful Experience hosted by Wonderful People!!! 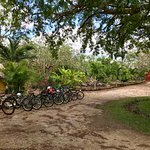 Get quick answers from Private Adventure Los 7 Cenotes Lunch & Bike Ride (Transportation not included) staff and past visitors. Hi! Im interested in this, im just confused about the transportation. It says to meet at the italian coffee place-are we transported from there to the cenote? Or are we just meeting there to get informatiom then everyone finds their own transportation to the cenote? Please advise. Thank you! When I went, they picked everyone up from locations that were convenient for the different tour members. I imagine the coffee place is just a good central location for several of you. Long story short, they drove everyone to the Cenotes and back. Though I'm not sure if "Transportation not included" is new. Just email them -- they got back to me quickly with answers to several questions I had. 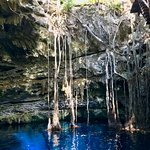 Why is the adventure called Los 7 Cenotes when there are only 3 or 4 cenotes? I am a little apprehensive of going since last year's trip to the Chocolate Museum near Uxmal and there were NO cacao (chocolate) trees on the premises. 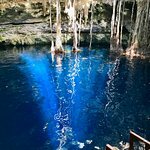 If it says 7 Cenotes, will we see all seven cenotes? Hi,the company is called Los 7 cenotes, there are 7 cenotes which are relatively close, we only visited 3 or 4 cenotes because we are focused on the quality and this also depends on the physical condition of the group and climate of the day.